Exceptional American Swiss gilt brass desk clock by Edward F. Caldwell & Co. NY. 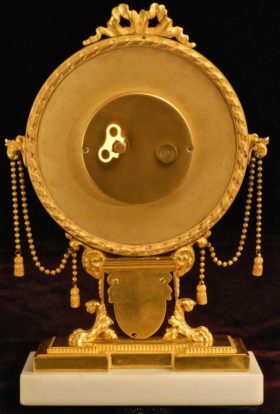 This clock sits on a beautiful marble base and houses a 17 jewel, 8 day movement by Omega Watch Co. 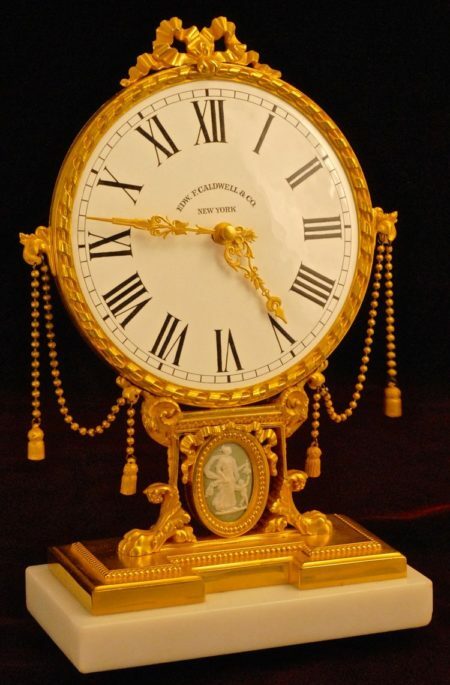 Clock by Edward F. Caldwell & Co. New York. Movement by Omega Watch Co.